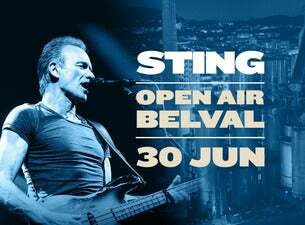 World-renowned artist Sting will play at the Open Air Belval this summer in Luxemburg !! Following Sting’s most recent, critically-acclaimed album, 57th & 9th, his first rock/pop collection in over a decade, Sting and Shaggy will release a collaborative, island-influenced album on April 20 entitled 44/876, that reflects the duo’s mutual love of Jamaica – its music, the spirit of its people and the vibrancy of its culture. The first Caribbean-flavored single, “Don’t Make Me Wait,” is available now. Composer, singer-songwriter, actor, author, and activist Sting was born in Newcastle, England before moving to London in 1977 to form The Police with Stewart Copeland and Andy Summers. As one of the world’s most distinctive artists, Sting has received 16 Grammy Awards, two Brits, a Golden Globe, an Emmy, four Oscar nominations and a TONY nomination. Throughout his illustrious career, he has sold close to 100 million albums from his combined work with The Police and as a solo artist.